Jailbreaking is a process of breaking the limitations in IOS . The Devices include Iphone , Ipad , Ipod Touch , and 2nd generation Apple TV . 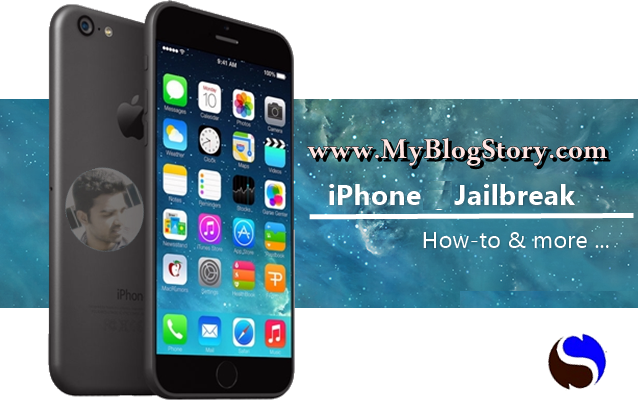 With this jailbreak you can install many apps and tweaks that are not allowed or authorized by APPLE . And also you get access to remove any security protections that apple added built in OS . Also you can change the look and feel of IOS and customize it as shown in the screenshot of my Iphone 6 beside . 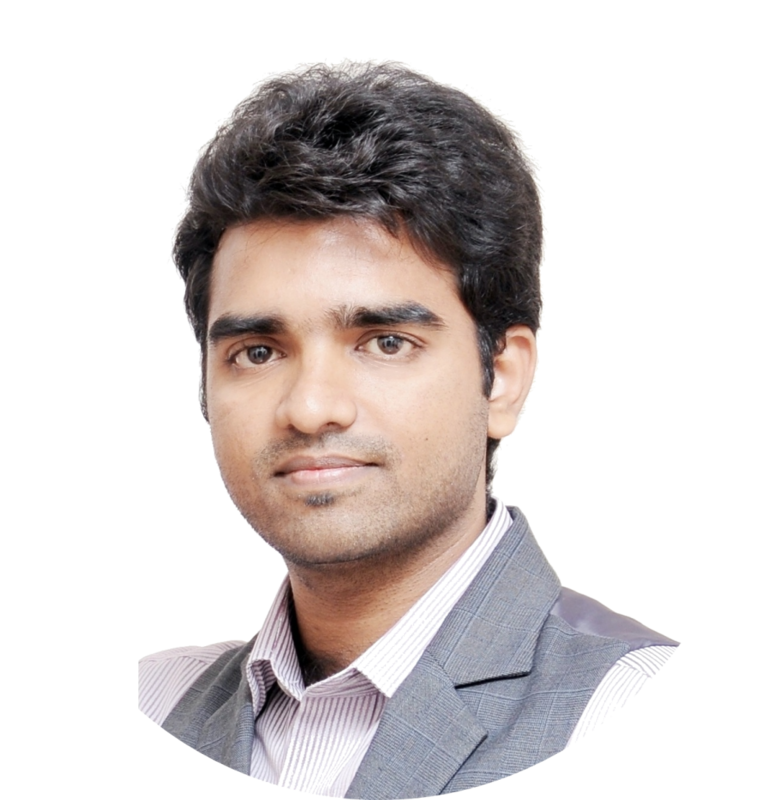 This can be done by installing theams to IOS which is not allowed in normal conditions . 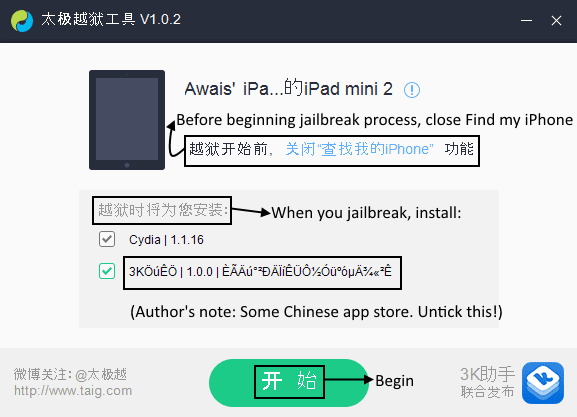 Now TaiG is the only tool available in market to break any IOS including 8.1.1 , 8.1.2 and 8.2 beta . This tool is available for windows PC at present and by using this tool from PC you can easily Jailbreak any Iphone , Ipad , Ipod and Apple TV . Lets go deep into the story in breaking IOS . This is tool is developed by Chinese and yes language on the tool is same . They have not globalized the tool as of now . Any ways , No worries that I translated all the important modules of the tool that needed for Breaking your IOS . Take complete backup of your device using I tunes from PC and close it before this process. Now after downloading the file , extract and double click Taig tool . Make sure that you have disabled touch ID , Find myphone options in your IOS device before opening this tool . With out this , your device can not be recognized by the tool . As shown in the above picture . Un check the additional app store and click on begin button . Wait until it gets completed and your device restarts . Thats it , and you are done . Your Device is Jailbroken now . 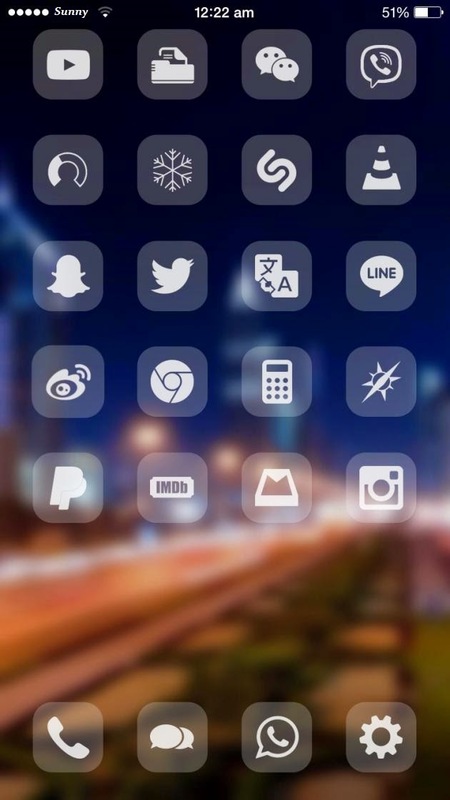 Enjoy the fun of jailbroken Idevice . Make sure commenting your suggestions , questions and any ideas for Us . Note : Jail Break process has to be done with more and extreme caution . This article is just for informative purpose and we are not responsible to any kind of miss use of Apple terms or damage caused to devices.